If you have been following us for any amount of time you know we love to bake at our house. However, not everything can be baked from scratch due to time restrictions. 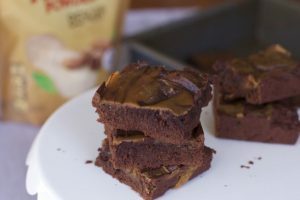 Today I am sharing my most recent creation that starts with a boxed brownie mix. These brownie recipes are so simple because you really don’t need to think too much. Simply change-up the add-ins the recipe and you have a completely new dessert. Like semi homemade dessert recipes? 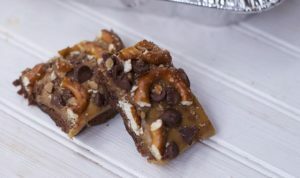 Then be sure to check oout my post filled with 20 great recipes that all start with a boxed brownie mix. 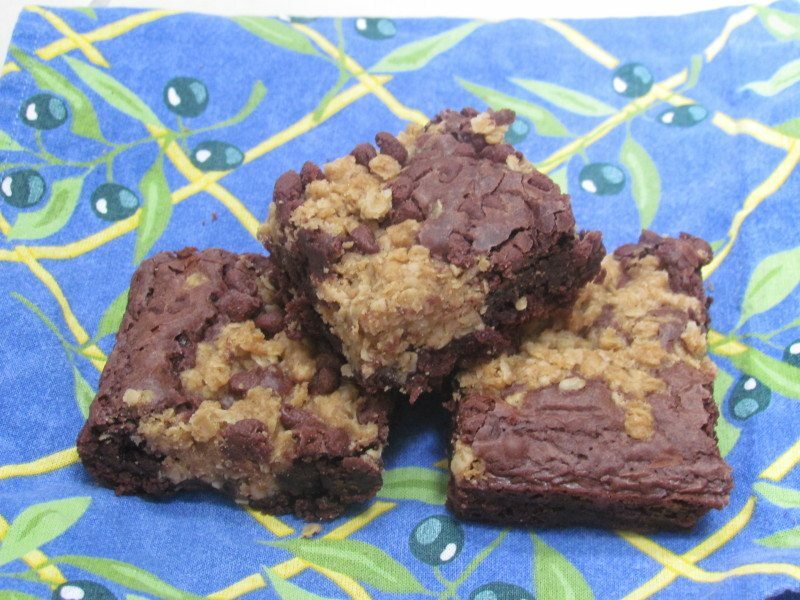 Today’s short cut recipe includes two flavors I love, peanut butter and chocolate. 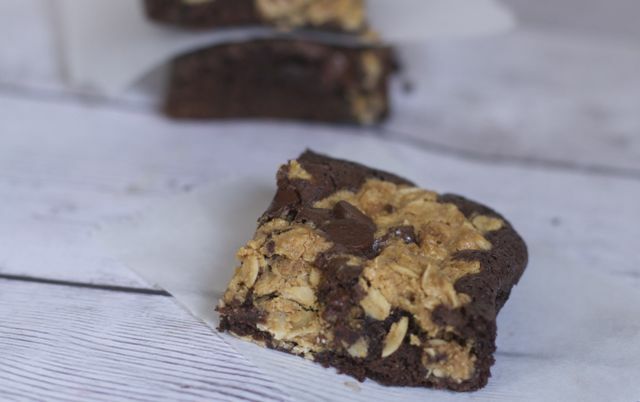 We hope you enjoy this Peanut Butter Crumble Brownie recipe today. 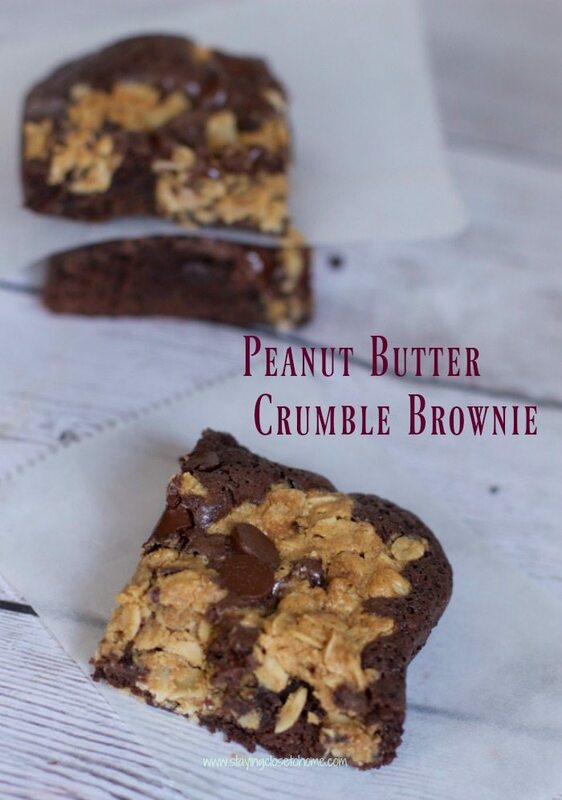 Top it with the peanut butter crumble, pressing lightly into the brownie batter. 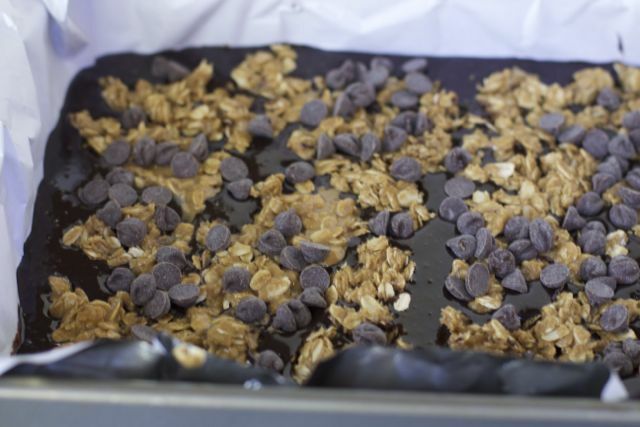 Then add the chocolate chips. If you are feeling festive add colored M& Ms instead of the chips. Hey why not add both, it is a dessert anyway. Bake until your toothpick comes out clean. 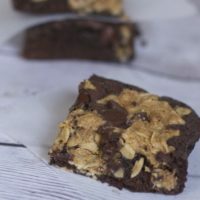 In no more time than making a brownie mix, you now have this flavorful and easy brownie dessert that looks like you spent hours preparing. I have made this more than once and I like it both ways with M&M’s and without. The family liked it too both ways but the kids always like something a little more with candy inside!!. 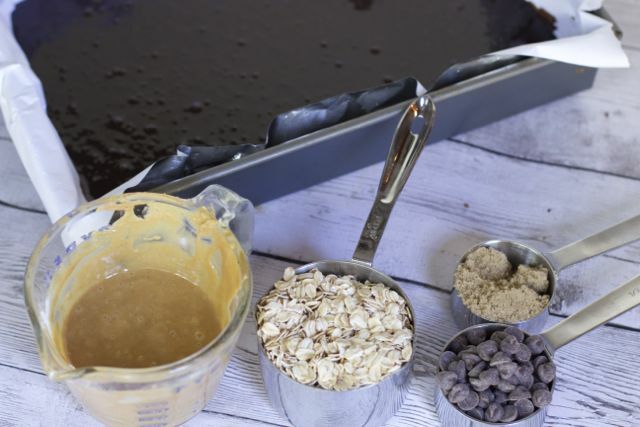 So whether you are making a dessert for the family or a fall outing don’t stress over it, start it off with a brownie mix and adding peanut butter and oatmeal never hurt anyone either. 1. Preheat oven 350°F. Line 13x9x2-inch baking pan with foil and coat with nonstick cooking spray. 2. In large bowl, mix together brownie mix, oil, water and eggs until well combined. Transfer to prepared pan. 3. In microwave-safe bowl, I like to use a 4 cup Pyrex cup, microwave peanut butter and butter one minute; stir until melted. Stir in brown sugar, oatmeal and flour until combined. Sprinkle and gently press peanut butter mixture over brownie layer. Sprinkle with chocolate chips or M & M's . Bake 20 minutes or until top is soft to touch. 4. 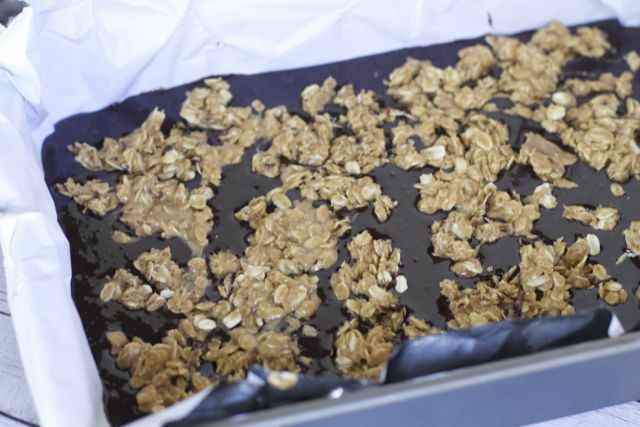 Allow to cool on a rack and then take out the entire pan of brownies, lifting out the tin foil and cut. 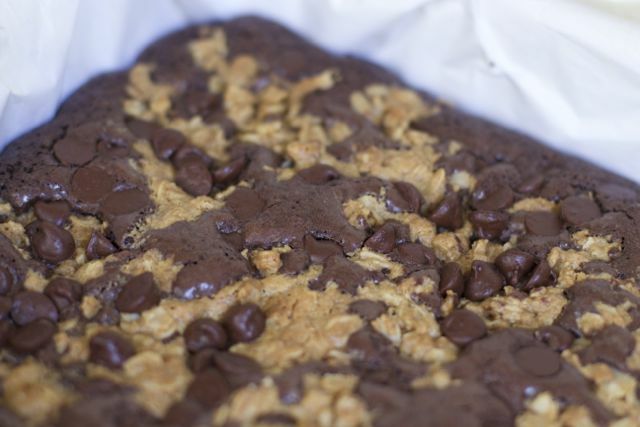 What will your family think of this Peanut Butter Crumble Brownie Recipe?